IT IS NEVER TOO LATE TO LEARN TO SAIL. IT IS NEVER TOO LATE TO LEARN A SKILL THAT WILL LAST A LIFETIME. IMAGINE THE FEELING OF FREEDOM AS YOU GLIDE THROUGH THE WATER – POWERED ONLY BY NATURE. Located at the Sandusky Harbor Marina in Sandusky Bay, Erie Islands Sailing School is the ideal place to begin your sailing dream. 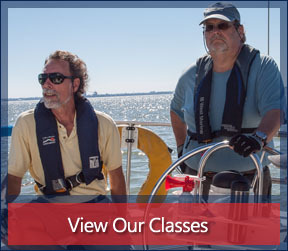 The protected waters of Sandusky Bay offer the novice sailor a great place to learn the basics. 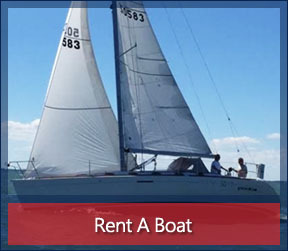 The proximity of Lake Erie and the island destinations of Kelleys, the Bass Islands and Put-in-Bay offer fun and challenging sailing for those taking our Bareboat Chartering and Advanced Coastal Cruising classes. Although Sandusky Bay is the home port for the school, classes are also offered out of bases on Catawba Island and in Cleveland, OH. We look forward to sharing the world of sailing with you. Our focus is on Sailing: Education, Safety, Fun. Learn to Sail. . . Live the Dream!